Gerrard Art Space is pleased to announce it's upcoming show, ROADTRIP: Photographs by Jim Lambie. The show runs from May 2nd through the 20th. 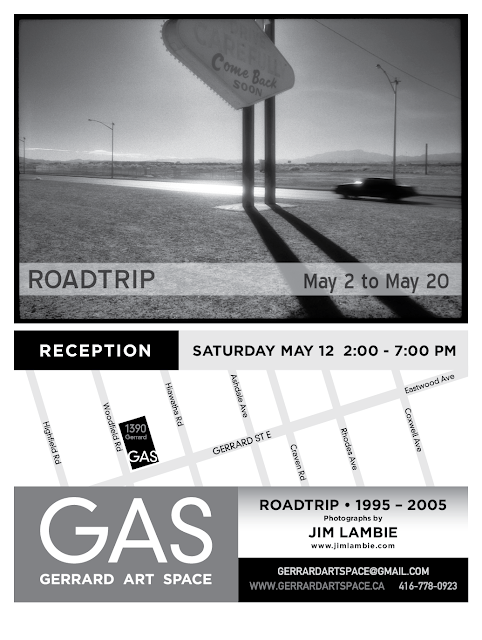 Opening reception will be May 12th from 2 to 7pm. 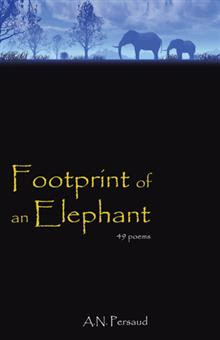 Please join author Anil Persaud for a poetry reading and book launch of FOOTPRINT of an elephant. Sunday April 22nd from 3 to 6pm @ GAS. "As life races by, few people have time to appreciate nature's miracles, and life as a whole.... Persaud's poetry provides a guide map of hope and happiness." I would like to extend my gratitude to all of you who came out to support Max MacDonald and Gerrard Art Space this past weekend. I am deeply overwhelmed, grateful and humbled all at once for all the support and well wishes. What a great community. I am overjoyed to be part of it. Here is to a long life on Gerrard..
To see even more pics from Max's opening please visit our Flickr page. 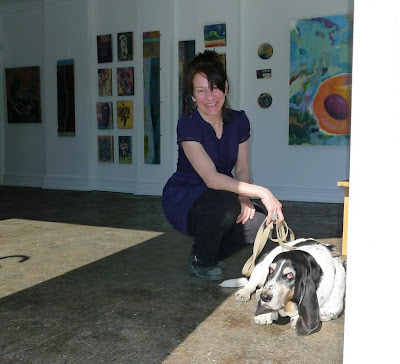 Joanne and Jed after helping hang Max's show last Friday. 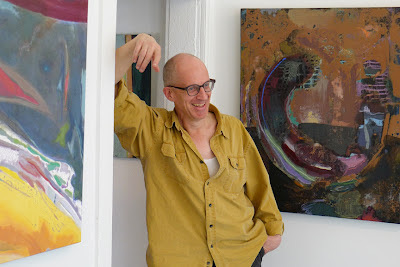 Artist Max MacDonald takes a well deserved time out after hanging his upcoming show at GAS. In all, Max has over 80 paintings on display. A brief bio of artist Max Macdonald, whose show opens Saturday April 14th between 2 and 7pm.